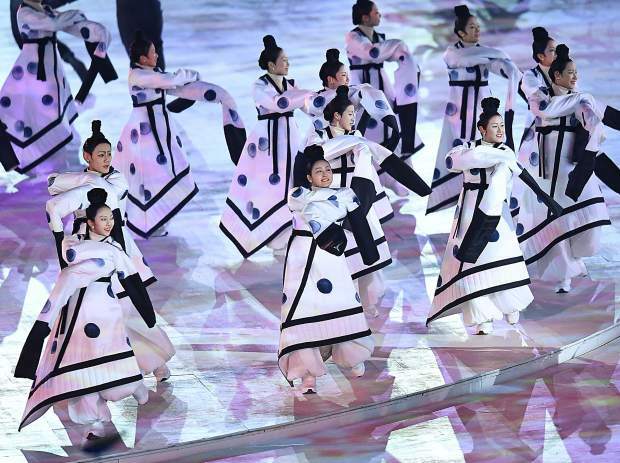 Korean dancers work their way through a routine as the athletes from Lebanon walk into Pyeongchang Olympic Stadium during the 2018 Winter Olympics Opening Ceremonies. 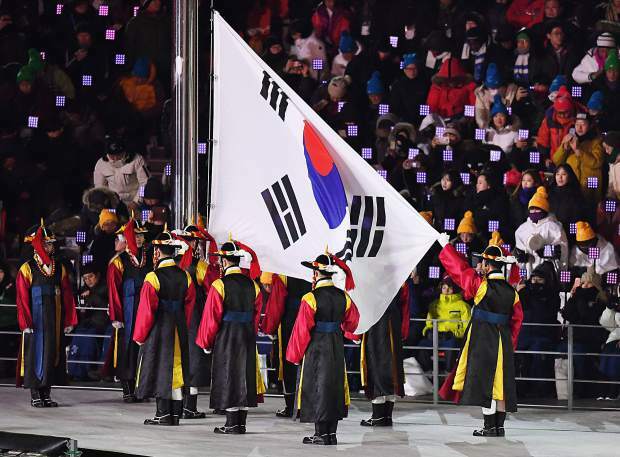 The South Korean flag is presented at the 2018 Winter Olympics Opening Ceremonies. 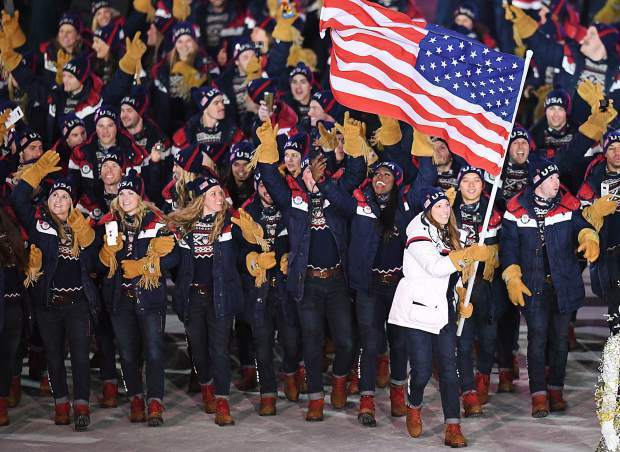 Erin Hamlin leads the United States athletes into the 2018 Winter Olympics Opening Ceremonies on Friday in Pyeongchang, South Korea. Tonga’s Pita Taufatofua carries his nation’s flag at the 2018 Winter Olympics in Pyeongchang, South Korea. Taufatofua also carried the flag for his country at the 2016 Summer Olympics, and he did that just like he did Friday’s show in ice-cold South Korea, oiled up and shirtless. 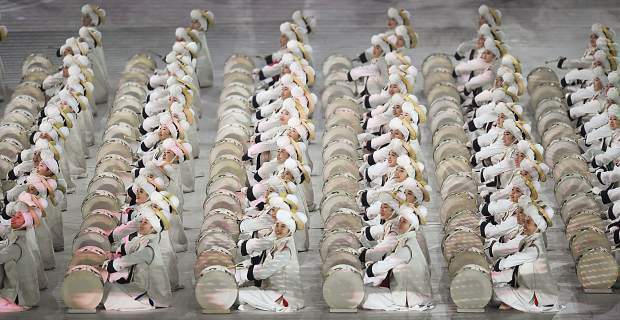 Dancers welcome in the 2018 Winter Olympics during the Opening Ceremonies in Pyeongchang, South Korea. 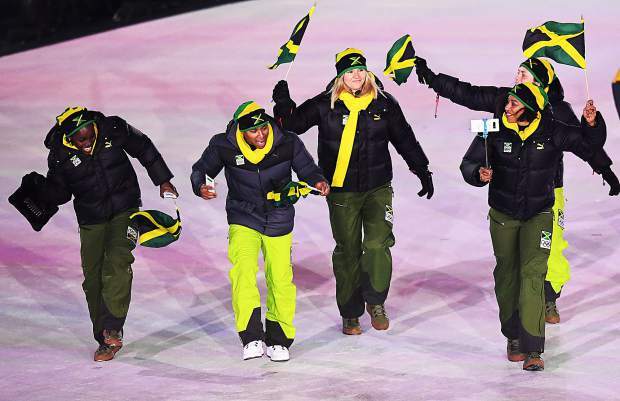 The Jamacian team enters the 2018 Winter Olympics Opening Ceremonies in Pyeongchang, South Korea. Performers smile wide Friday at the 2018 Winter Olympics Opening Ceremonies in Pyeongchang, South Korea. 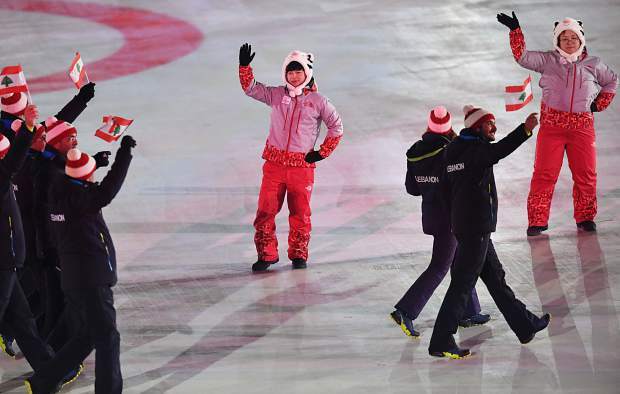 A contingent of North Koreans cheer and chant early during the 2018 Winter Olympic Opening Ceremonies in Pyeongchang, South Korea. 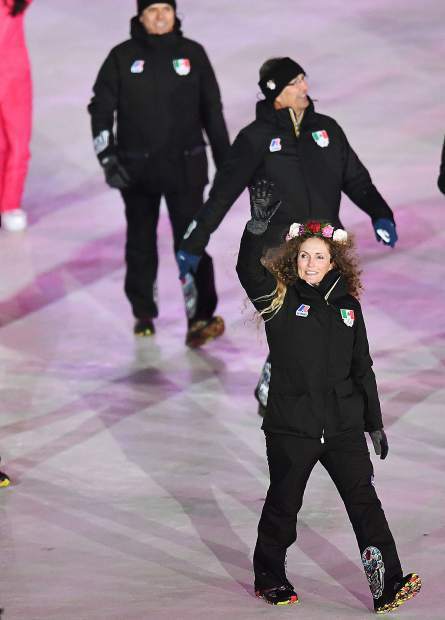 Vail skier Sarah Schleper walks into the 2018 Winter Olympic Opening Ceremonies with the Mexican team. 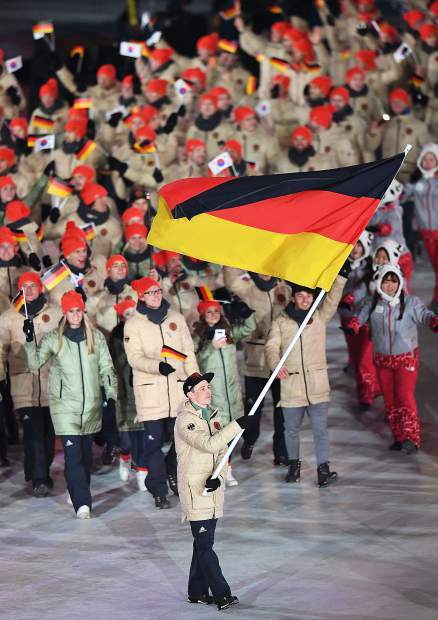 The German contingent enters Pyeongchang Olympic Stadium during the 2018 Winter Olympics Opening Ceremonies.